Pfc. Harry Jefferson Day, son of Mr. and Mrs. J. H. Day, Newcastle, husband of Lucille Pinkerton, attended Newcastle High. 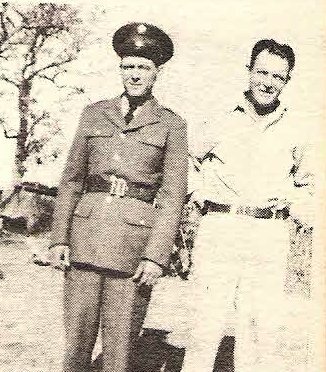 Entered Army, 1942, trained at Camp Wolters adn Camp Bowie, Texas. Served in USA. Awarded GCM, ATO Ribbon. Discharged in 1946.